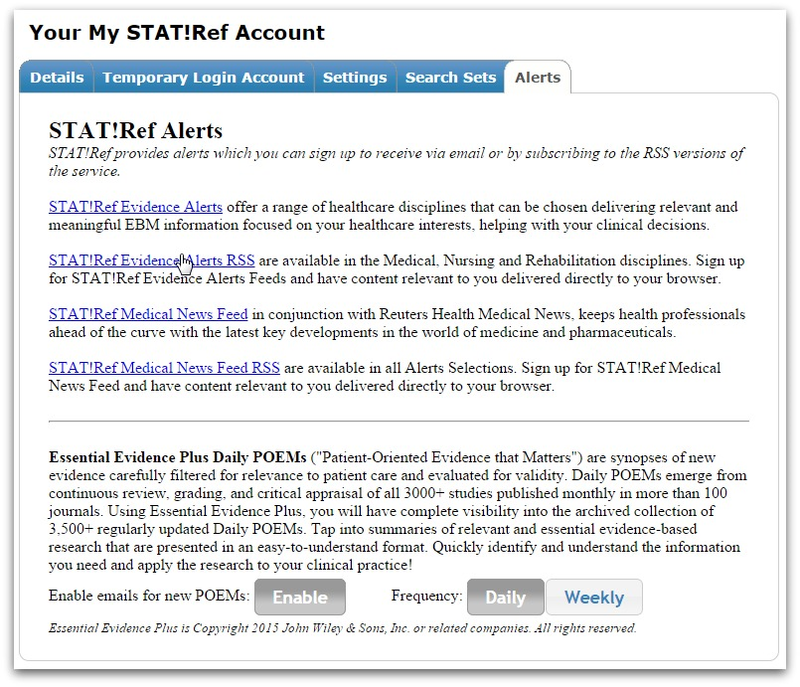 The newest feature of the Essential Evidence Plus (EE+) product from STAT!Ref, you can now receive Daily POEMs Alerts via e-mail. EE+ POEMs or "Patient-Oriented Evidence that Matters" are synopses of new evidence carefully filtered for relevance to patient care and evaluated for validity. Available to those subscribers of EE+ from STAT!Ref, Daily POEMs are e-mail alerts that identify the most valid, relevant research to help you practice. Monthly, the complete set is compiled and sent for additional summary review. Each Daily POEM is also added to the Daily POEMs database in EE+, for easy future reference. Ongoing since 1996, EE+ editors now review more than 1,200 studies monthly from more than 100 medical journals, presenting only the best and most relevant as POEMs. The acclaimed POEMs process applies specific criteria for validity and relevance to clinical practice. About 1 in 40 studies qualifies. If you have the EE+ product, please follow the simple instructions outlined in the EE+ POEMs Daily Alerts handout here and listed below. Or, please view a quick two-minute video here. 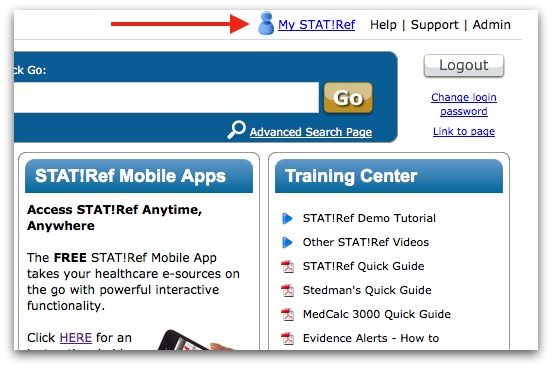 To manage your Daily POEMs email subscription go to “My STAT!Ref” on your STAT!Ref subscription home page as shown below. Don’t have a My STAT!Ref preferences account? Follow the simple steps to create one, with your username as your e-mail address and a desired password. Then, click on the “Alerts” tab and click “Enable” to activate the Essential Evidence Plus Daily POEMs, as shown below. Choose the frequency for your alerts: Daily or Weekly. If you have any questions about this new EE+ product feature, please call 800-901-5494 or fill out this form to speak with a STAT!Ref Team Member today.